The German Business Day as part of the German Week was organised for the first time this year by our Honorary Consul for Germany Prof Michael Rosemann together with the German Australian Business Association, SAP and the Queensland Chapter of the German Australian Chamber of Industry and Commerce. GABA was honoured to help organising this event, contribute with presentations and our president participating in a round table discussion to further strengthen the business ties between Germany and Australia. 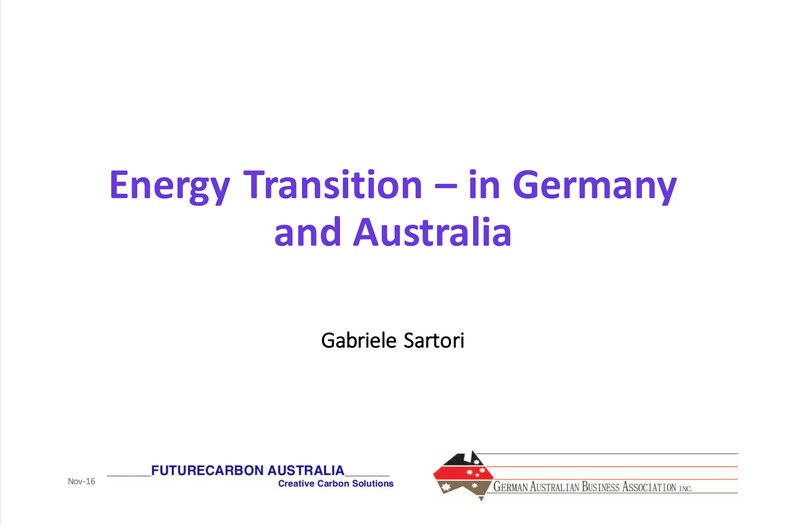 Gaba was contributing with presentations from our president Gabriele Sartori, who was talking about Energy in Transition, Germany and Australia. Followed by a presentation from Markus Mueller about Cyber Security and how small and medium businesses can protect themselves. And last but not least the round of presentations was concluded by our secretary Willy Guertler who was talking about Consumers first in the Logistics Industry. If you haven't been able to attend the event please find below the presentations for your reference.